Puma have been a little quiet of late. They completely assaulted us with four new football boot colourways in the space of a week a few months ago, then went into hibernation again! 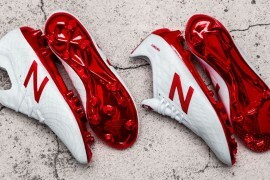 The good news is, they’re back – with a very interesting football boot indeed! The Puma PowerCat 1.10 Tricks is one half of Puma’s World Cup colourways for the World Cup (with the Puma v1.10 Tricks as the other). Right now though, you’re probably wondering what the inspiration behind the outlandish colour scheme? Well, the Puma PowerCat 1.10 Tricks are actually designed to complement the special Africa Unity Kit. 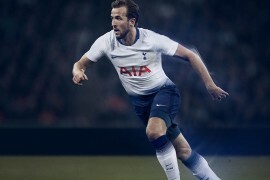 As you’ll remember – Puma’s Africa Unity Kit starts as a Sky-Blue shirt, before fading into Earth-Brown Shorts and Socks. These football boots are coloured to represent the raw volcanic power of the lava underneath the ground! 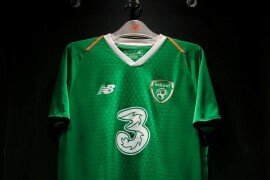 A bold statement indeed from Puma, who have created a World Cup colour scheme on par with the Nike Elite boots in terms of ‘noticability’! So does the Puma PowerCat 1.10 Tricks pack the volcanic power? 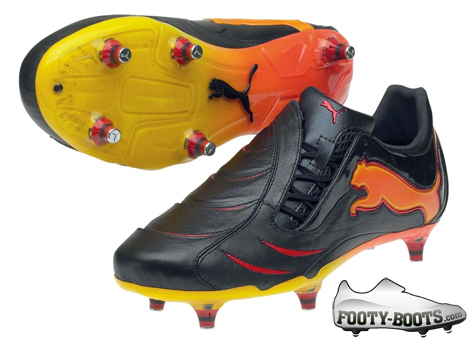 When we tested the PowerCat, we sure felt that the Puma PST used on the football boot was an improvement, but our favourite feature was how soft and giving the K-Leather was straight out the box! Here’s a quick look at the PowerCat 1.10 in action with the new Africa Unity kit – with a great close up of the boot at the end! So – what do you think of the Puma PowerCat 1.10 Tricks? 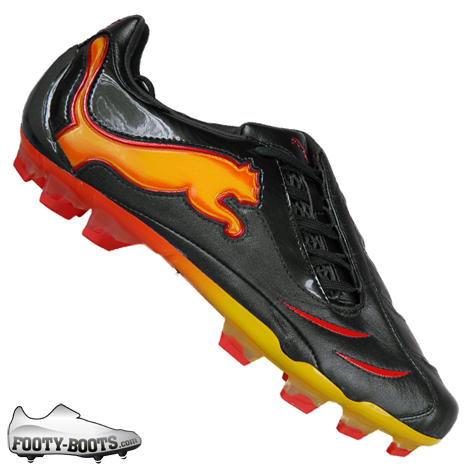 But what i like about the Puma PowerCat 1.10 is that its not a bad looking football boot. The leather is a thick K-leather, even though it gives you a good touch it doesn’t really lack power, plus the way it shapes to your foot is brilliant. The look of the boot also gives you confidence that it will protect you in a dirty tackle. Even though Puma are not as popular as Adidas or Nike, doesn’t mean they cannot produce a good football boot and that’s exactly what this is, a good solid football boot. These cleats are the best cleats I have ever bought in my football career. They are comfortable, they kick for power, and they have a nice feel. only two downsides are that they feel slightly heavy, making it slightly uncomfortable to run, and they downgrade fast, exp: I bought them two months ago and the yellow color is already wearing down.